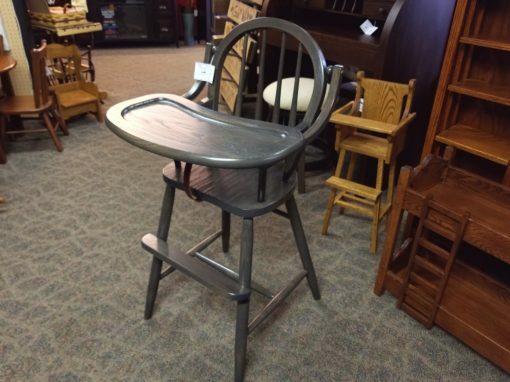 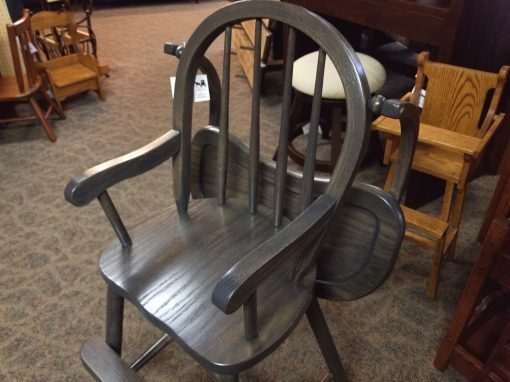 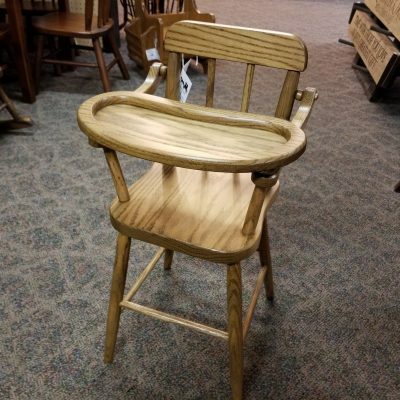 Antique Slate Bow High Chair, Shown in Oak. 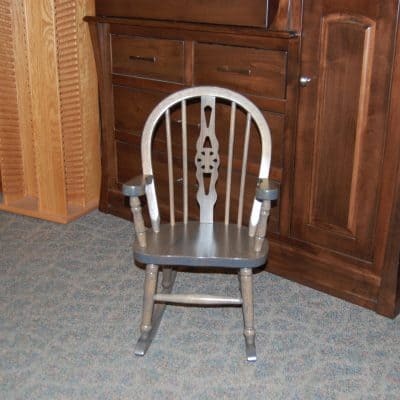 Other woods, stains, and colors are also available for custom order. 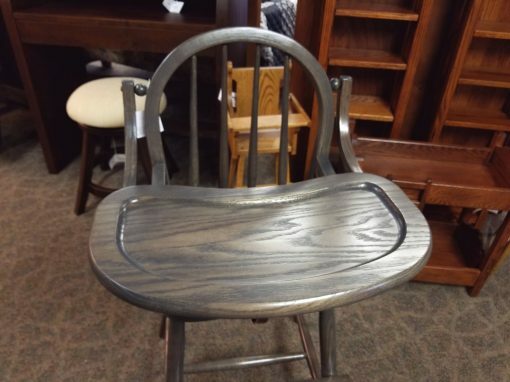 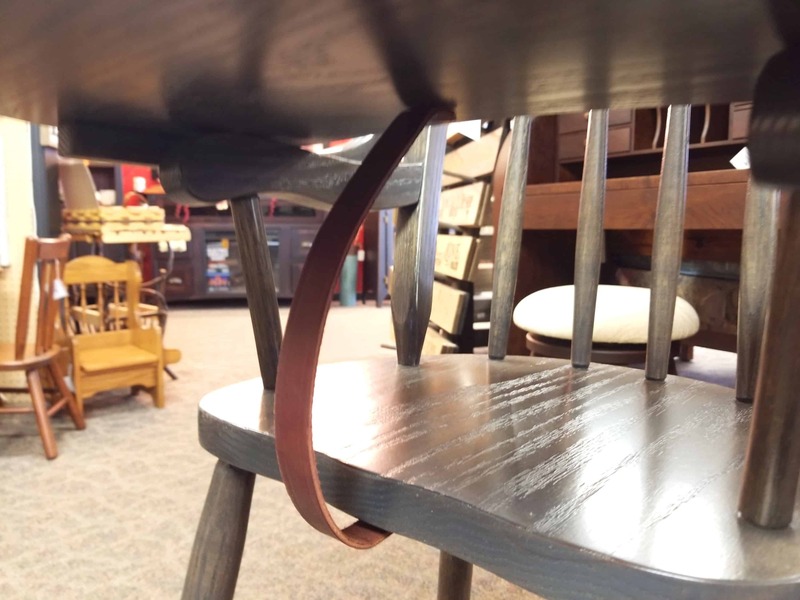 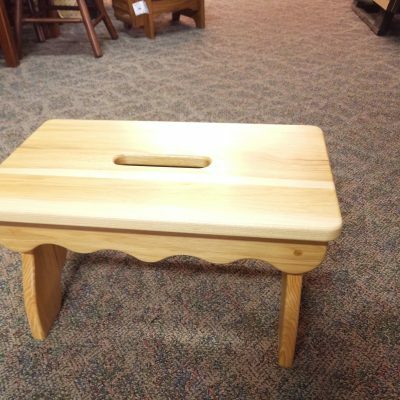 The tray for this high chair is attached by a strong leather single buckle found underneath the seat.